Strategic and financial advisory firm Pottinger has launched a Strategic Analytics division to enable clients to bring greater clarity to complex decisions without the delays and overheads of Big Data. Pottinger’s team can identify information hidden in swamp of data that companies wade through daily to shine a bright light on where value lies without incurring the multi-million-dollar costs of Big Data. 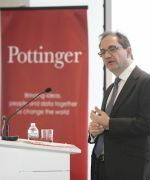 Drawing on its decade of using leading edge analytical techniques, Pottinger Analytics integrates the firm’s extensive track record in strategy, M&A and financing advice with the skills of its team members in fields including statistics, quantitative data analysis, programming, astrophysics and economics. Pottinger Joint CEO Cassandra Kelly said Big Data was the buzzword of the decade. 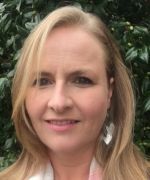 “While this blossoming field of data analytics that will undoubtedly help many organisations to better understand their customers’ needs, it’s not the whole picture - the missing piece is strategic analytics,” she said. “The drawback of Big Data is the big annual budgets and long timeframes required to implement such initiatives. With strategic analytics, we frequently undertake one-time exercises that provide our clients with the sustained commercial advantages that result from gaining quantitative insights into risk and valuation that others simply cannot see. Pottinger Analytics can assist boards and senior executives to quantify and assess objectively the implications of uncertainties; quantitatively identify more attractive scenarios; value businesses with uncertain future prospects; identify performance metrics that impact value; and design robust capital structures that will stand up to real world uncertainties. Cassandra Kelly said Pottinger Analytics aimed to equip clients with the ability to navigate through uncertainty in challenging times. “Pottinger Analytics allows us to offer an entirely new level of clarity and insight into the most complex business decisions,” she said. “Many businesses find it challenging to make decisions in relation to overall business strategy and major capital investments, especially when there is significant uncertainty in key business drivers. And most organisations are swamped by more and more data in all aspects of their operations. “To address these challenges, you need to employ strategic analytics – the use of analytical techniques applied directly to helping companies and governments solve their strategic problems so that they can embrace opportunity and make decisions that properly factor in the wide range of outcomes that is possible in real life. That’s why we’ve launched Pottinger Analytics. “We have a track record in applying this unique blend of skills across all sectors and on multi-billion-dollar projects. Our assignments have touched the diverse range of decisions made at senior levels of corporations, from transaction strategy, risk management and asset pricing to evaluating customised insurance products and even highly granular operational decisions such as: ‘how much water should I have in my dam for each hectare of crop I want to plant? Pottinger is a multiple award-winning strategic and financial advisory firm. Our people offer a completely different proposition to traditional consulting and investment banking advisors, seamlessly integrating true strategic thinking, commercial insight, financial expertise and execution excellence. As a result, our team can bring exceptional clarity and depth of thinking to complex strategic situations.